Tucson, too SAHN, is one of the oldest towns in the United States. Originally Tucson was an Indian village called Stook-zone, meaning "water at the foot of black mountain". It has since developed into a cultural Mecca boasting a rich diversity of ethnicities, architecture, and scenery. Tucson is unusually balanced by its metropolitan feel and it's friendly small town appeal. The Sonora Desert surrounds the thriving city of Tucson with the natural beauty of dry air and 360 days of brilliant sunshine. 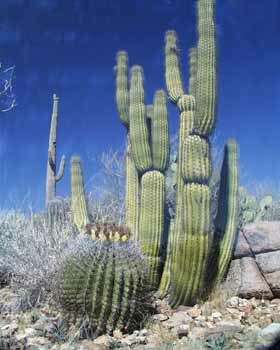 Tucson's climate varies from the 2400-foot desert basin to the 9100-foot forests of the Santa Catalina Mountains. The combination of Tucson's pleasing climate, landscape, and commitment to preserving quality of life, makes it a perfect health or vacation retreat. 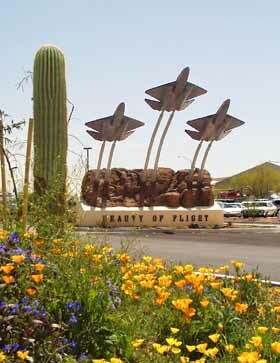 There are countless activities and sights to see in Tucson whether you are traveling alone, in-group or with family. 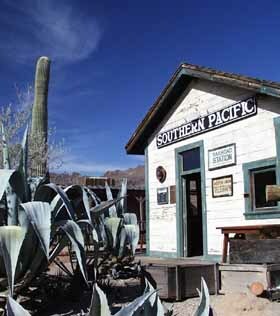 Old Tucson Studios is one of most famous attractions of the area known as "Hollywood in the Desert". 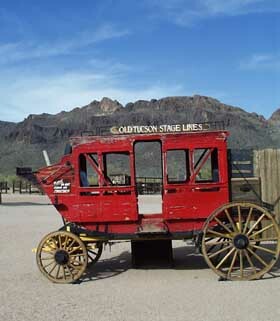 The world-renowned film studio and theme park has played a vital role in the world's perception of the old west. Old Tucson Studios has survived 60 years, hundreds of films, and a devastating fire, making it important historically to Tucson and the film industry. Tucson's Children's Museum is a perfect way to spend an afternoon. It prides itself on programs geared towards inspiring, exciting and challenging children of all ages. They have activities, exhibits, and lessons that allow children to pretend, see, and learn. Sit in on a little pow-wow with the kids and experience the fun together. To really experience all the nature, beauty and history Tucson has to offer you must visit the Arizona-Sonora Desert Museum. This is an all-encompassing establishment that provides its visitors with a zoo, natural history museum, and botanical gardens. Located in the scenic Tucson Mountains, paths of exploration will lead you to discover Gila monsters, humming birds, coyotes, and more. The museum gives visitors of all ages a truly exhilarating experience with its variety of things to do and see. 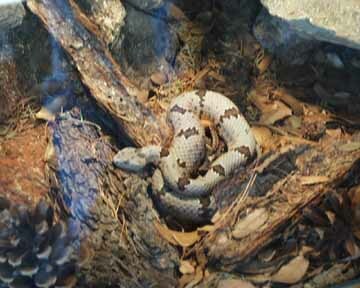 For more outdoor family fun there is also the Colossal Cave Mountain Park and the Reid Park Zoo. Both are great ways to see animals that are indigenous to Arizona and terrain to which desert life has acclimated itself. In the vast dessert outside of Tucson there stands a magical building called the "white dove of the desert". This church, Mission San Xavier del Bac, is overwhelming in size and beauty. The white structure shines as it reflects the bright desert sun and crisp blue sky. It is an astounding sight and an educational experience that allows visitors to peer into the history and culture of Arizona. Tucson is also home to Mt.Lemmon, a ski resort perched just below 9,000 feet. This is the U.S's southernmost ski area and its chairlift is open year round as it floats endlessly with the clouds above the pristine mountain. Within reasonable distance to Mt. Lemmon are a few National Parks that provide similar insights into the history, wildlife, and landscapes of Arizona. The Catalina State Park and the Nature Conservancy's Ramsey Canyon Preserve are two of the most notable parks within the area. Other activities that are highly promoted and practiced in the Tucson area include; golf, camping, astronomy, and environmental conservation. For those looking for a little less action and a little more calm, try one of Tucson's many spas. Canyon Ranch is one of the highest rated spas in the U.S. and it is a luxurious environment that emphasizes stress management, spiritual awareness, and personal pampering. After a day of exploring, skiing, or relaxing, one can enjoy an elegant evening out to hear the Tucson Symphony, or see an opera at the Tucson Opera House. The city holds numerous fine restaurants and bars and an abundance of nightlife, from discos to coffee shops. The variety of activities available in the Tucson area is as surprising as it is pleasing. To find history, beauty, varying landscapes, wildlife, and culture all within the same vicinity is an amazing feat. With so much to offer, Tucson is a wonderful location for an educational family excursion, a personal health retreat, or a fast-paced city to desert exploration. Tucson emphasizes its dedication to quality of life, and it is doing an excellent job. One can truly enjoy all of the finest things life has to offer while visiting Tucson.